As soon as I could understand English I was hearing stories about my mom growing up in Kenya when my grandparents were missionaries there from 1948-1953. 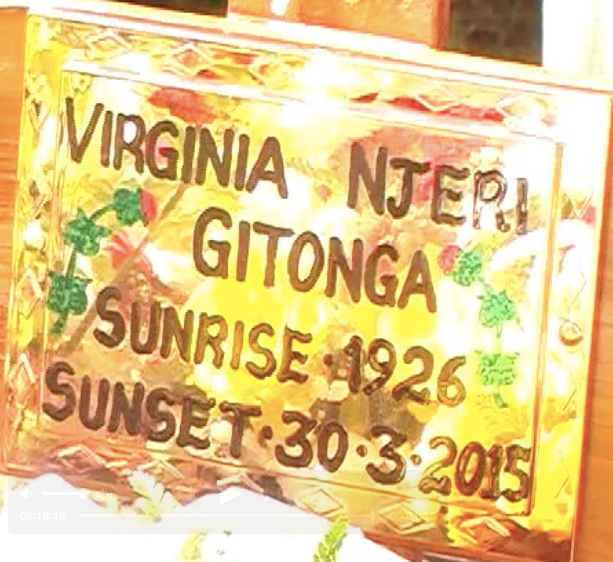 So I grew up grateful for Njeri Gitonga, who watched over Mom and my Aunt Jeri when Grandma and Grandpa Miller were away ministering in the bush. Our families had lost touch, but sometime in the mid-90's my Aunt Jeri was visiting Kenya and asked someone how she might go about finding Njeri. The local asked her what her maiden name was, and when he heard, he exclaimed, "There's an Njeri Miller living up on that hill." Aunt Jeri knocked on the door, and Njeri invited her into her home, where Aunt Jeri saw photos of herself, Mom, and my grandparents. 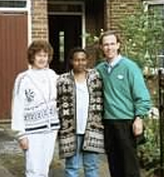 We've stayed in touch over the years, and though I haven't made it to Kenya yet, I have had two miraculous connections with Njeri! In 1999 I did a 16 city tour of England with my play A Clear Leading. 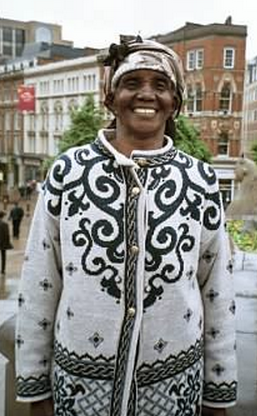 I happened to be there the first time Njeri visited England to visit her children who were staying there. Though Njeri wasn't there when I was performing the play, her daughter, Alice, made it to a performance in Muswell Hill, a suburb of London. 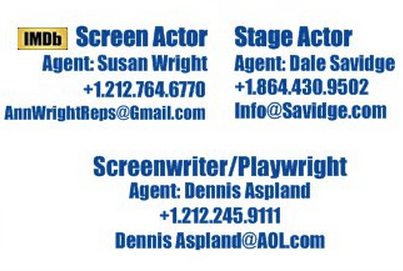 When I performed the dream of my character Dolly swimming to Africa I had tears streaming down my face. I'll never forget that performance. With Mom and Alice in 1999. When Njeri did arrive we spent time at a mall, where Alice interpreted for Mom and me. One memory of that visit was when Njeri got on an escalator for the first time. What a frightening contraption that must have looked like in her eyes. 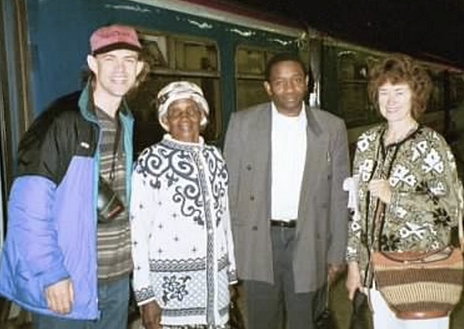 Then, in 2007 I was back in England, where I got to perform "Lazarus" with some Swahili translations for Alice's church. I learned the start of a Swahili praise song, and opened the piece with that. They all joined in and went way past what I had memorized! I can still sing some of it: "Sifu bwana, sifu bwana, dayama. Moyuwangu, sifu bwana, dayama." Later I was at Eltham College, where Eric Liddell had attended school. I was interviewing the headmaster and had an idea for a shot of their choir singing a song which was written about Liddell for the documentary Olympic Hero in China: The Eric Liddell Story. In the midst of scouting for the documentary I got a text from Mom saying she couldn't get to Heathrow in time to greet Njeri. So I hopped on the next train... the wrong way! I turned around, got off at Piccadilly and transferred to the metro bound for Heathrow. As soon as the door opened I sprinted for Arrivals. Just as I came bounding up, someone was pushing Njeri out in a wheelchair. I calmed my breathing, walked up like I'd been there for a good long while, gave her a Kenyan handshake (flying down from up above), and said, "Jambo!" That's a Swahili greeting. I also know a few phrases of her tribal language, Kikuyu, so I was also able to say, "Wimwega." That was about it until Mom was able to arrive with Alice who was able to take over the translations. What are the chances my trips corresponded with hers without either of us knowing of the others' schedule either time? Only the One who set up both visits knows. 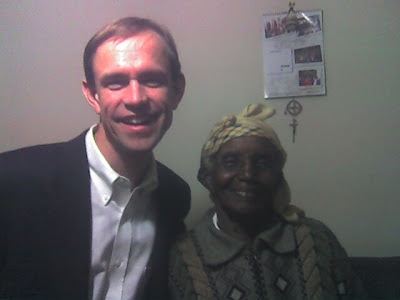 Njeri "Miller" Gitonga went to be with the Lord earlier this month. My heart is filled to the brim with gratitude for how she cared for my mom and how the Lord allowed our schedules to connect in England twice!! Our prayers are with her whole family! With Njeri, her son, Kamau, and Mom. I got to watch a recording of her funeral service. I was glad there were a couple of English speakers, but though we couldn't understand most of what was said, it was clear that she was deeply loved and respected by her family and community.